There is one consistent response to questions about the research behind the benefits of local food systems: it depends. This is due, in part, to the fact that there is no single definition for “local” food. Therefore, none of the benefits of local food systems is guaranteed; it depends on how exactly local food is grown or raised, distributed, and consumed. However, if service providers understand what community members in their area expect from local food systems, and are knowledgeable about the research related to their benefits, we can work toward building local food projects and programs that create the outcomes that community members desire. 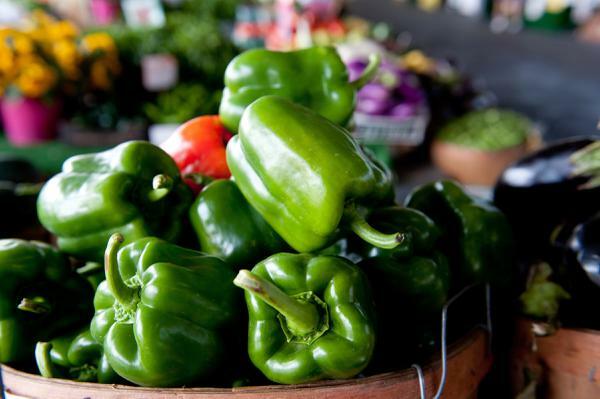 How do various organizations and individuals define local food? The 2008 Farm Bill, which guides the US Department of Agriculture, defined local food as food that is grown and transported less than 400 miles, or within the same state. 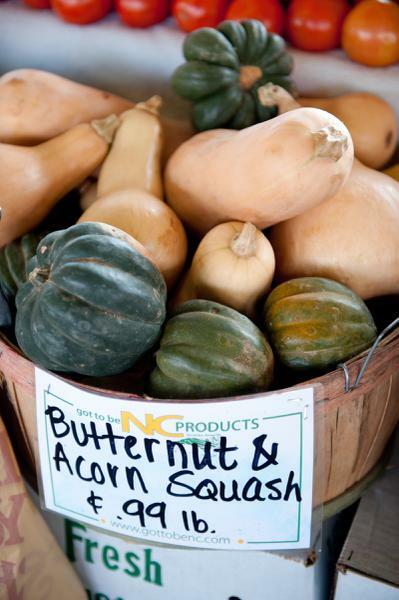 State organizations like the NC Department of Agriculture & Consumer Services (NCDA&CS) and North Carolina Cooperative Extension (NCCE) use state boundaries to define local food. Consumer definitions vary widely; for some, local food has to do with assumptions about how food was grown (for example, pesticide-free). For others, it depends on who grew it (for example, small-scale, family farmers). Still others say it depends on how far the food has traveled (for example, The 100-Mile Diet; Smith and MacKinnon, 2007). The distance used to define "local" may also vary according to one's area of residence, as rural residents identify "local food" with a smaller area than urban residents do (Sneed and Fairhurst, 2017). 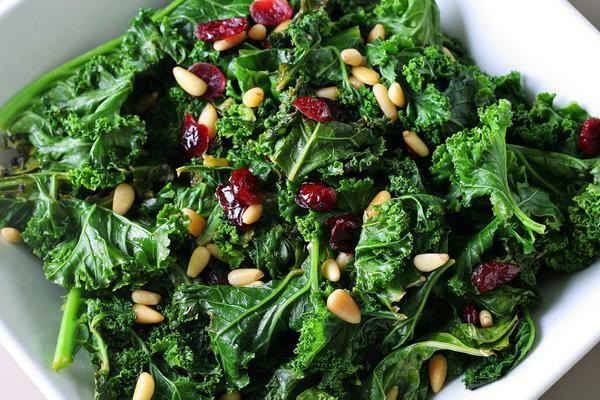 Alternately, some consumers say it depends on how the food was marketed (for example, directly to the consumer at a farmers market or roadside stand). 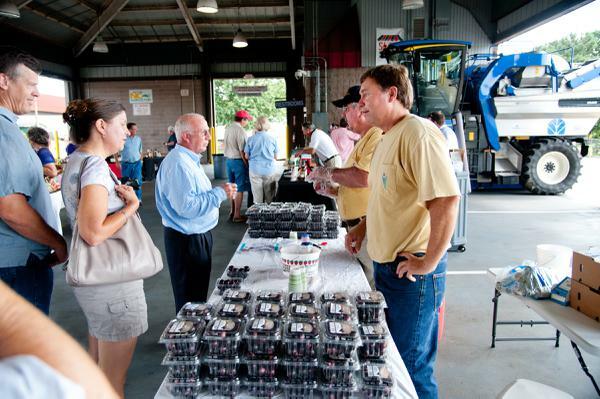 Researchers often use “direct marketing” as the definition for selling food locally, because these short supply chains exemplify the close connections between farmer and consumer. Direct marketing includes farmers who sell directly to consumers at farmers markets, roadside stands, you-pick operations, agritourism activities, and community supported agriculture (CSA). Historically, there are less data available about extended supply chains—those with more intermediaries between farmer and consumer (Low et al., 2015). However, researchers are increasingly studying these intermediated supply chains, as analyses indicate that they have the potential to increase farmer profitability (Bauman, McFadden, and Jablonski, 2018; Dunning, 2016; Hardesty et al., 2014). Despite these different definitions, research has shown that consumers have fairly consistent expectations of local food, such as freshness, healthfulness, safety, high quality, and economic benefits to their community (Onozaka, Nurse, and McFadden, 2010). In this document, we summarize the research about the environmental, economic, health, and community benefits of local food systems in order to provide practitioners, community members, and interested consumers with the knowledge to make informed decisions. Local food is often assumed to be environmentally beneficial because of reduced transportation distances and the use of sustainable agricultural practices. The term “food miles” is frequently used in mainstream media to suggest that environmental benefits occur when food is transported locally from farmer to consumer, compared with the distance involved in the global food system. However, research does not support the idea that local food systems are necessarily more environmentally sustainable than regional, national, or global food systems because of reduced transportation. There are two reasons for this. First, transportation only accounts for approximately 11 percent of greenhouse gas emissions in agriculture (Low et al., 2015). Most of the emissions and energy use in food systems occurs during the production, processing, packaging, or selling of food. Second, when it comes to transportation, research shows that efficiency is often more important than distance. Larger quantities trigger “economies of scale,” meaning that the costs for producing, processing, distributing, and marketing a product are typically lower when you deal with larger volumes. Also, the methods of transportation that characterize regional, national, and global food systems (for example, by ship, rail, or tractor trailer) can translate to fewer emissions than transportation in local food systems, which often includes several small trips by both producers and consumers (Edwards-Jones et al., 2008; Heller and Keoleian, 2003; Canning, 2011; Mariola, 2008; Weber and Matthews, 2008; Edwards-Jones, 2010; Avetisyan, Hertel, and Sampson, 2014).). In addition, many consumers expect that local food producers use more environmentally sustainable agricultural practices than nonlocal farmers do (Sneed and Fairhurst, 2017). enhance the quality of life of farmers and ranchers, and of society as a whole” (U.S. Farm Bill 1990). Industry estimates indicate that sales of local food in the United States have almost doubled in recent years, from $5 billion in 2008 to $11.7 billion in 2014 (Vilsack, 2015). Local food systems are often promoted because of their contribution to the local economy. The “multiplier effect” is the concept that money spent on local food is more likely to be re-spent within the local economy. This occurs when farmers and other local businesses buy inputs locally, employ local people, and otherwise work with other local businesses (Jablonski and Schmit, 2016; Hardesty, Christensen, McGuire et al., 2016). The economic analyses estimating the multiplier effect are complicated and depend on a variety of contextual factors. Studies estimate multiplier effects for spending on locally produced foods to be between $1.32 and $1.90, meaning that for every dollar spent on local products, between $.32 and $.90 worth of additional local economic activity takes place (Meter, 2010; Jablonski, Schmit, and Kay, 2015; Martinez et al., 2010). Research shows that the localization of food supply chains (for example, localizing a crop's production) can result in positive economic impacts—lowering production and transportation costs and thus benefiting consumers via lower prices—but these benefits vary by region and product (Atallah, Gómez, and Björkman, 2014; Nicholson, Gómez, and Gao, 2011). Recent studies also suggest that local businesses, including small and midscale farms, are more likely than their larger-scale counterparts to buy supplies from local businesses, and farms that sell locally spend more on labor regardless of their size (Bauman, McFadden, and Jablonski, 2018; Tropp and Malini, 2017). Local farmers markets also generate spillover effects when consumers attend the market and then go on to shop at other nearby businesses (Lev, Brewer, and Stephenson, 2003). In addition, local food systems and direct markets can serve as incubators that help to support new food and farming businesses, thus fostering entrepreneurship and small business development (Hinrichs, Gulespie, and Feenstra, 2004; Gwin and Thiboumery, 2014; Flora, Bregendahl, and Renting, 2012). However, it is possible that some studies may overestimate the economic impact of local food systems because they assume that local food purchases reflect an overall increase in spending, rather than recognizing that some of these purchases are simply diverted from other local markets, such as supermarkets (Boys, 2016; Hughes and Boys, 2015; Deller, Lamie, and Stickel, 2017). Local food systems are also assumed to benefit farmers by cutting out the middleman, allowing farmers to keep a greater share of the food dollar. While research shows that this is true for direct marketing, the benefits need to be balanced against the higher costs that direct marketing creates for farmers due to factors such as marketing, labor, and time (King, 2010; Pinchot, 2014; Bonanno et al., 2013). At the same time, cutting out a “local” middleman can diminish the local multiplier effect. This means that service providers should think not only about the economic impact of local food systems on primary producers, but also about the impact on local intermediaries such as locally owned distributors and retailers. Overall, research suggests that direct markets benefit beginning farmers because participating farms are more likely to show a profit year after year (Low et al., 2015). However, farms that participate in both direct and intermediated marketing channels reported higher rates of profitability, meaning that this marketing strategy may be a more reliable one for farms of any scale (Bauman, Thilmany McFadden, and Jablonski, 2018). In terms of other forms of local food infrastructure, recent research indicates that food hubs (mission-driven aggregation and distribution centers) typically need ongoing outside funding to remain economically viable (Rysin and Dunning, 2016). Communities should take this need for funding into consideration when planning to start a food hub. Finally, there is a perception that local food is more expensive than nonlocal food. Prices of local food can be higher in some places due to place-based issues (for example, land valuation, property tax rates, and cost of labor). However, research has shown that, on average, local fresh fruits and vegetables that are sold in direct markets are less expensive than fresh fruits and vegetables sold in grocery stores, regardless of the season (Ibid. ; McGuirt et al., 2011; Valpiani et al., 2015). Local food system components, including farmers markets, community gardens, and other direct market opportunities, are the focus of a growing body of work seeking to enhance community health. It is important to understand that local food is not necessarily healthier than nonlocal food. Many of the health benefits associated with local food have to do with access to and consumption of fresh fruits and vegetables (Edwards-Jones, 2010). A diet high in fruits and vegetables is associated with a decreased risk of heart disease and some forms of cancer. Research has shown that the existence of direct-to-consumer local food markets is associated with individual weight loss, lower rates of diabetes, and lower body mass index (BMI) (Salois, 2012; Berning, 2012; Bimbo, Viscecchia, and Nardone, 2012). It is important to note that this does not mean that local food causes better health outcomes; it is possible that communities that are already healthier are those that are also more interested in local food (Salois, 2012; Deller, Canto, and Brown, 2017). Research has also shown that individuals who purchase local fresh fruits and vegetables, or grow it themselves, eat a greater variety of vegetables, consume more vegetables themselves, and report that their children eat more fresh fruits and vegetables (De Marco et al., 2014; Ban et al., 2013; Brown and Miller, 2008; Alaimo et al., 2008; Litt et al., 2011). Local food is also often assumed to be healthier due to freshness based on the idea that transportation from farm to consumer takes less time in direct-to-consumer supply chains. This is sometimes accurate because the nutritional quality of fruits and vegetables is often highest right after harvest and then declines with time (Favell, 1998; Lee and Kader, 2000). However, the freshness and nutritional value of a local food product have a lot to do with how a product is handled between harvest and consumption. Therefore, freshness is not just a matter of time or distance to market, but also the integrity of temperature and humidity management (known as the cold chain) from harvest to table (Edwards-Jones et al., 2008; Edwards-Jones, 2010). While farmers may have varying capacity to maintain a cold chain, local produce often has the advantage of being picked at the peak of ripeness, and local farmers can choose varieties based on taste rather than on their ability to withstand transportation (Estabrook, 2012). Evaluation of farm to school programs that integrate local food into cafeterias and engage children with hands-on gardening, and other educational activities, have been shown to have positive impacts on their dietary behavior and health outcomes. Research shows that offering local food in school cafeterias increases students' rates of consumption of fruits and vegetables (Kropp et al., 2018), especially when combined with hands-on activities such as cooking, gardening, and nutrition education (Koch et al., 2017). Research shows that children who are involved in school gardens are more willing to try new fresh fruits and vegetables and to eat them routinely (Birch et al., 1987; Hermann et al., 2006; Langellotto and Gupta, 2012; Lineberger and Zajicek, 2000; The Benefits of Farm to School, 2017; Koch et al., 2017). Involvement in school gardens has also been shown to improve health outcomes (such as body mass index and blood pressure), particularly among high-risk, low-income students (Hollar et al., 2010). In addition, student participation in school gardens has the added benefit of improving performance on science exams (Klemmer, Waliczek, and Zajicek, 2005). Finally, it is often assumed that local food is safer than nonlocal food. Food safety practices are a critical issue for farms of all sizes and markets. As previously stated, there are no guarantees that particular agricultural practices are more likely to be associated with a local grower compared to a nonlocal grower. Some of the strongest evidence-based benefits of local food systems occur at the community level. Community organizing around local food system development, including community gardens, increases an overall sense of community togetherness. Working collectively creates stronger social ties and networks, and can lead to more civic engagement (Sturtevant, 2006; Teig et al., 2009). Furthermore, recent studies have shown that involvement in farmers markets, CSAs, or food cooperatives increases peoples’ engagement in the community through a sense of pride and "civic duty" (Vasi et al., 2015; Carolan, 2017; Rumble and Lundy, 2017). Local food systems and relationships that form in direct markets can also help to bridge ties between producers and consumers, and between rural and urban areas. While communities may begin by organizing around local food issues, this civic engagement and network building can lead to communities addressing and impacting other community-wide issues, such as food insecurity (Lyson, 2005; Teig et al., 2009; Stickel and Deller, 2014). Through this publication about the research behind the benefits of local food systems, we hope to provide practitioners, community members, and interested consumers with the knowledge to make informed decisions. While there are still some gaps in the research due to inconsistencies in the definition of “local” food, new research is published every day that adds to our knowledge about the outcomes and impacts of local food system development. The most important thing that we want to stress is that local food projects, programs, and systems can be designed and managed to achieve the benefits that community members expect. It is important to first determine people’s expectations for local food systems in their area, prioritize these issues as local food projects are designed, and be transparent about the qualities and characteristics of local food that the community values. In this way, you are more likely to create successful local food systems that meet a community’s goals. Dunning, R. Research-Based Support and Extension Outreach for Local Food Systems. August 2013. Center for Environmental Farming Systems. Low, S. A., Adalja, A., Beaulieu, E., Key, N., Martinez, S., Melton, A., Perez, A., Ralston, K., Stewart, H., Suttles, S., Vogel, S., and Jablonski, B. R. R. (2015). Trends in U.S. Local and Regional Food Systems: A Report to Congress. Community Food System Resources. UC Davis Sustainable Agriculture Research and Education Program. Alaimo, K., Packnett, E., Miles, R. A., and Kruger, D. J. (2008). Fruit and Vegetable Intake among Urban Community Gardeners. Journal of Nutrition Education and Behavior, 40(2), 94–101. Atallah, S. S., Gómez, M. I., and Björkman, T. (2014). Localization effects for a fresh vegetable product supply chain: broccoli in the eastern United States. Food Policy 49, 151-159. Berning, J. P. (2012). Access to Local Agriculture and Weight Outcomes. Agricultural and Resource Economics Review 41(1), 57. Bimbo, F., Viscecchia, R., and Nardone, G. (2012). Does the Alternative Food Supply Network Affect the Human Health? In 126th Seminar, June 27-29, 2012, Capri, Italy. European Association of Agricultural Economists. Birch, L. L., McPhee, L., Shoba, B. C., Pirok, E., and Steinberg, L. (1987). What Kind of Exposure Reduces Children’s Food Neophobia? : Looking vs. Tasting. Appetite 9(3), 171–78. Bonanno, A., Cembalo, L., Caracciolo, F., Dentoni, D., and Pascucci, S. (2013). Farms’ Performance and Short Supply Chains in Italy: An Econometric Analysis. In 2013 Second Congress, June 6-7, 2013, Parma, Italy. Italian Association of Agricultural and Applied Economics (AIEAA). Boys, K. A. (2016, September/October). Local Food Systems: Exploring Economic Impacts and Limits to Market Expansion. NC State Economist. Brown, C., and Miller, S. (2008). The Impacts of Local Markets: A Review of Research on Farmers Markets and Community Supported Agriculture (CSA). American Journal of Agricultural Economics, 90(5), 1298–1302. Canning, P. N. (2011). A Revised and Expanded Food Dollar Series: A Better Understanding of Our Food Costs. Washington, D.C.: U.S. Department of Agriculture, Economic Research Service. De Marco, M., Gustafson, A. A., Gizlice, Z., Crowder, R., and Ammerman, A. S. (2014). Locally Grown Fruit and Vegetable Purchasing Habits and the Association with Children’s Diet. Journal of Hunger and Environmental Nutrition 9(3), 372–87. Deller, S. C., Canto, A., and Brown, L. (2017). Food access, local foods, and community health. Community Development, 1–24. Edwards-Jones, G., Millá i Canals, L., Hounsome, N., Truninger, M., Koerber, G., Hounsome, B., . . . Jones, D. L. (2008). Testing the Assertion That ‘Local Food Is Best’: the Challenges of an Evidence-Based Approach. Trends in Food Science and Technology 19(5), 265–74. Estabrook, B. (2012). Tomatoland: How Modern Industrial Agriculture Destroyed Our Most Alluring Fruit. Reprint edition. Kansas City: Andrews McMeel Publishing. Favell, D. J. (1998). A Comparison of the Vitamin C Content of Fresh and Frozen Vegetables. Food Chemistry 62(1), 59–64. Flora, B., Bregendahl, C., and Renting, H. (2012). Collaborative Community-Supported Agriculture: Balancing Community Capitals for Producers and Consumers. International Journal of Sociology of Agriculture and Food, 19(3), 329–46. Gwin, L., and Thiboumery, A. (2014). Beyond the Farmer and the Butcher: Institutional Entrepreneurship and Local Meat. Journal of Agriculture, Food Systems, and Community Development, 4(2), 81–96. Hardesty, S., Christensen, L., McGuire, E., Feenstra, G., Ingels, C., Muck, J., . . . Oneto, S. (2016). Economic Impact of Local Food Producers in the Sacramento Region. University of California at Davis. Hardesty, S., Feenstra, G., Visher, D., Lerman, T., McFadden, D. T., Bauman, A., . . . Nurse-Rainbolt, G. (2014). Values-based Supply Chains: Supporting Regional Food and Farms. Economic Development Quarterly, 28, 17–27. Hermann, J. R., Parker, S. P., Brown, B. J., Siewe, Y. J., Denney, B. A., and Walker, S. J. (2006). 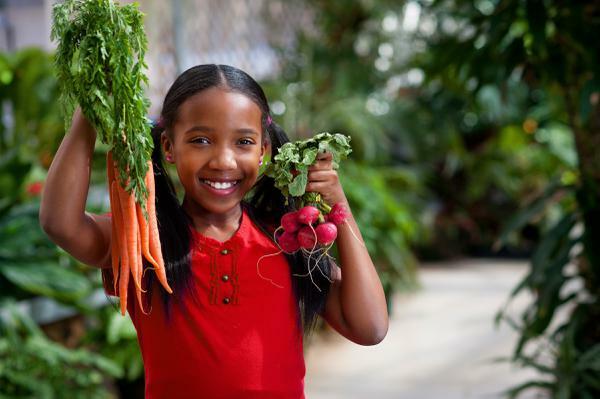 After-School Gardening Improves Children’s Reported Vegetable Intake and Physical Activity. Journal of Nutrition Education and Behavior 38(3), 201–2. Hinrichs, C. C., Gulespie, G. W., and Feenstra, G. W. (2004). Social Learning and Innovation at Retail Farmers’ Markets. Rural Sociology, 69(1), 31–58. Hollar, D., Lombardo, M., Lopez-Mitnik, G., Hollar, T.L., Almon, M., Agatston, A., and Messiah, S.E. (2010). Effective multilevel, multi-sector, school-based obesity prevention programming improves weight, blood pressure, and academic performance, especially among low-income, minority children. Journal of Health Care for the Poor and Underserved, 21(2):93-108. Jablonski, B. B. R., and Schmit, T. M. (2016). Differential Expenditure Patterns of Local Food System Participants. Renewable Agriculture and Food Systems, 31(2), 139–47. Klemmer, C. D., Waliczek, T. M., and Zajicek, J. M. (2005). Growing Minds: The Effect of a School Gardening Program on the Science Achievement of Elementary Students. HortTechnology, 15(3), 448–52. Koch, P., Wolf, R., Graziose, M., Gray, H.L., Trent, R., and Uno C. (2017). 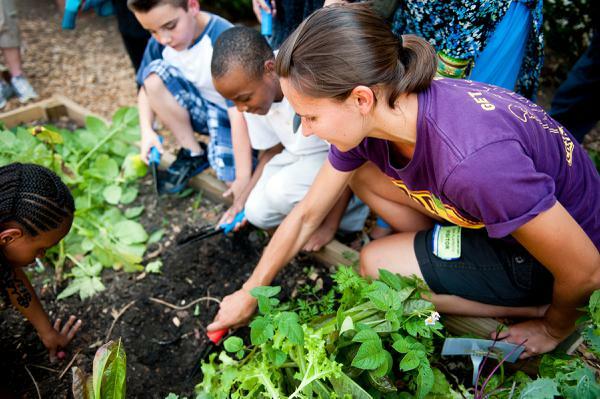 FoodCorps: Creating Healthy School Environments. Laurie M. Tisch Center for Food, Education and Policy, Program in Nutrition, Teachers College, Columbia University. Langellotto, G. A., and Gupta, A.. (2012). Gardening Increases Vegetable Consumption in School-Aged Children: A Meta-Analytical Synthesis. HortTechnology, 22(4), 430–45. Lee, S. K., and Kader, A. A. (2000). Preharvest and Postharvest Factors Influencing Vitamin C Content of Horticultural Crops. Postharvest Biology and Technology, 20(3), 207–20. doi:10.1016/S0925-5214(00)00133-2. Lineberger, S. E., and Zajicek, J. M. (2000). School Gardens: Can a Hands-on Teaching Tool Affect Students’ Attitudes and Behaviors Regarding Fruit and Vegetables? HortTechnology, 10(3), 593–97. Low, S. A., Adalja, A, Beaulieu, E., Key, N., Martinez, S., Melton, A., . . . Jablonski, B. B. R. (2015). Trends in U.S. Local and Regional Food Systems: A Report to Congress. Washington DC: Economic Research Service, USDA. Lyson, T. A. (2005). Civic Agriculture and Community Problem Solving. Culture and Agriculture, 27(2), 92–98. Mariola, M. J. (2008). The Local Industrial Complex? Questioning the Link Between Local Foods and Energy Use. Agriculture and Human Values, 25(2), 193–96. Martinez, S., M., Hand, M., Da Pra, S., Pollack, K., Ralston, T., Smith, S., . . . Low, S. (2010). Local Food Systems: Concepts, Impacts, and Issues. United States Department of Agriculture Economic Research Report, Number 97. McGuirt, J. T., Jilcott, S. B., Liu, H., and Ammerman, A. S. (2011). Produce Price Savings for Consumers at Farmers’ Markets Compared to Supermarkets in North Carolina. Journal of Hunger and Environmental Nutrition, 6(1), 86–98. Nicholson, C. F., Gómez, M. I., and Gao, O. H. (2011). The costs of increased localization for a multiple-product food supply chain: dairy in the United States. Food Policy 36(2), 300–310. Salois, M. J. (2012). Obesity and Diabetes, the Built Environment, and the ‘Local’ Food Economy in the United States, 2007. Economics and Human Biology 10(1), 35–42. Smith, A., and MacKinnon, J. B. (2007). The 100-Mile Diet: A Year of Local Eating. Toronto: Vintage Canada. Stickel, M., and Deller, S. (2014). Community Level Impacts of Local Food Movements in the U.S., Canada, and Western Europe: Annotated Bibliography. University of Wisconsin, Agricultural and Applied Economics. Sturtevant, V. (2006). Reciprocity of Social Capital and Collective Action. Community Development, 37(1), 52–64. Teig, E., Amulya, J., Bardwell, L., Buchenau, M., Marshall, J. A., and Litt, J. S. (2009). Collective Efficacy in Denver, Colorado: Strengthening Neighborhoods and Health through Community Gardens. Health and Place 15(4), 1115–22. U.S. Farm Bill of 1990. Pub. L. No. 101-624. 104 Stat. 3359: Food, Agriculture, Conservation, and Trade Act of 1990. Valpiani, N., Wilde, P., Rogers, B., and Stewart, H. (2015, October). Patterns of Fruit and Vegetable Availability and Price Competitiveness across Four Seasons Are Different in Local Food Outlets and Supermarkets. Public Health Nutrition 18(15), 2846–2854. doi:10.1017/S1368980015000981. Weber, C. L., and Matthews, H. S. (2008). Food-Miles and the Relative Climate Impacts of Food Choices in the United States. Environmental Science and Technology, 42(10), 3508–13. World Food Summit of 1996. November 13-17, 1996 in Rome, Italy. Called by The Food and Agriculture Organization of the United Nations (FAO).